The SeaWolves dropped the series opener to the Akron RubberDucks, 4-0, on Friday night at UPMC Park. Akron jumped ahead in the top of the fourth inning against Erie starter Spenser Watkins. Tyler Krieger singled with one out and was tripled home by Nellie Rodriguez for a 1-0 lead. The RubberDucks added to the lead in the fifth, knocking Watkins out of the game. With Daniel Salters on first base following a fielder's choice, Alexis Pantoja singled to put runners on the corners. Ernie Clement doubled home Salters for a 2-0 lead. Andrew Calica followed with a two-run double for a 4-0 lead. Erie was limited to just four hits in the game. Josh Lester, Troy Montgomery and Kody Eaves each singled and Cam Gibson had the lone extra-base hit with a double off the wall in right. Akron starter Kyle Dowdy (4-8) was sharp in tossing six scoreless frames. He allowed just three hits with three walks and nine strikeouts. It was his first win with the RubberDucks since coming over in a trade with the Tigers. Watkins (1-2) took the loss for the SeaWolves allowing four runs on six hits with two walks and three strikeouts in 4.1 innings of work. Four Erie relievers, Nolan Blackwood, Kurt Spomer, Andrew Schwaab and John Schreiber combined to hurl 4.2 scoreless innings in relief of Watkins. The SeaWolves and RubberDucks meet in the second game of the four game series on Saturday night at 6:05 p.m. at UPMC Park. Righty A.J. 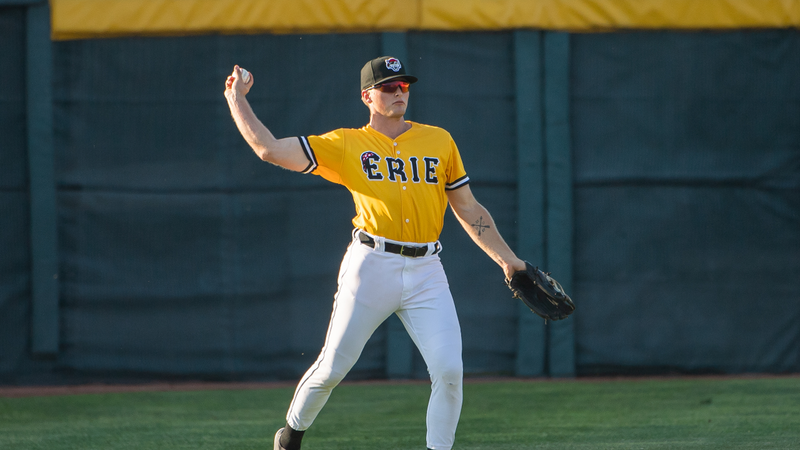 Ladwig (4-1, 2.31 ERA) takes the mound for Erie against RHP Zach Plesac (0-0, 0.00 ERA). Saturday night is Fan Appreciation Night featuring post-game Zambelli fireworks set to the music of classic game show themes. On Fan Appreciation Night, the SeaWolves say THANK YOU to fans with over $10,000 in prize giveaways throughout the game. At least 10 Ariens Classic Snow Blowers will be given away as part of the prize giveaways.